If you are looking for a product to help easily pick up and grab objects in hard to reach places, Grab It™ Ratcheting Tool is the product for you. Open the tool around the object you want to grab, squeeze the Grab It™ Ratcheting Tool’s ergonomic handle and it will rachet closed around the object. 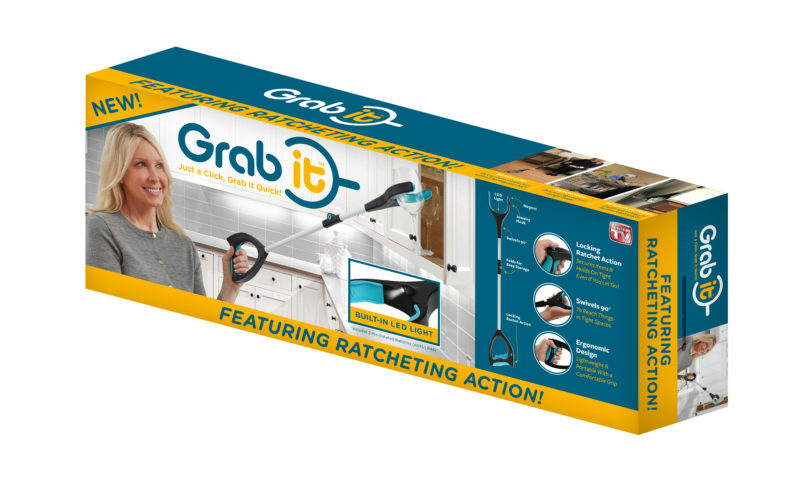 The Grab It™ Ratcheting Tool swivels 90 degrees allowing you to easily reach for products that are in tight or awkward places. Built in LED light, jewelry hook, and magnet help grab even the smallest hard to reach items. Grab It™ Ratcheting Tool can pick up and hold up to 5 lbs. Includes 3 pre-installed cell batteries (AG13/LR44).